The “Party with Trees” introsem provided students with an understanding of the different trees on campus (Courtesy of Devaki Bhaya). On Tuesday afternoon, while many students were holed up in classrooms or in the library, professor of biology Devaki Bhaya and students from her Introductory Seminar (IntroSem), “Party with Trees,” were examining the foliage of a cluster of trees nestled behind the fire pit at Lake Lag. The weekly tree tours are a highlight of this class. While the class is generally centered on a walk through a specific part of Stanford’s campus, at times students have been taken to off-campus locations, such as the Jasper Ridge Biological Preserve or the California Academy of Sciences’ Rainforest Exhibit in San Francisco. Along with Bhaya, a different guest speaker accompanies students on each walk and serves as a tour guide. 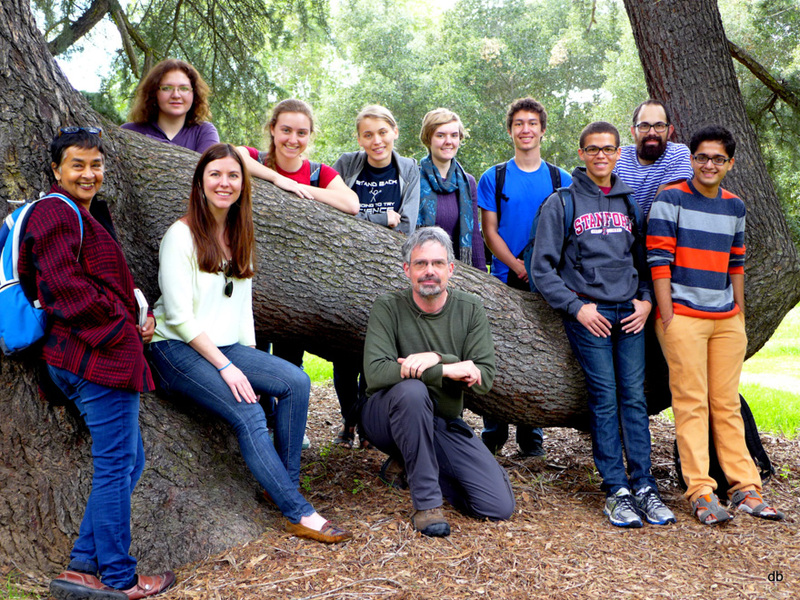 This past week, Sairus Patel, who curates the Trees of Stanford website and also works as a font technologist for Adobe, led the tree tour. Although Patel led a “walking lecture” for the class, the dynamic between the guest speaker and the students more closely resembles a conversation. During the walks, students are encouraged to ask questions and also interact with nature, whether this means tasting the fruit of a tree or smelling a flower. Each tree tour is either preceded or followed by a more formal lecture, where students learn to view trees from an academic perspective. Under the guidance of Bhaya and the guest lecturers, students explore the literary, physical, biological and environmental impacts of trees. Students are assigned readings for each class to supplement their “inside classroom” learning. At the end of the quarter, students will be equipped with the knowledge necessary to lead their own tours, which they will all do as a part of their final exam. The unique structure of this class can be accredited to Bhaya, who is teaching this IntroSem for the first time this year. Bhaya, who primarily conducts research in microbiology, grew up in India and has always been interested in trees. When she came to Stanford, she realized that she did not recognize many of the trees on campus. For this reason, she decided that she would teach a class based on Ronald Bracewell’s “Trees of Stanford,” which was published in 2005. Her favorite part of the class has simply been going on the tree tours with her students. “I love seeing their excitement,” Bhaya said. Her students share her enthusiasm for the class. Although it was offered as an Introductory Seminar for freshman, it has attracted a number of upperclassmen and graduate students from a variety of academic disciplines. Alex Yazdi ’15, a member of the football team and a human biology major, explained that with classes and a rigorous practice schedule he never had the time to truly explore campus before taking this class. Anthony Carrington ’18 spoke about how the class has been a refreshing break from conventional studies. “It’s been a great way to explore something new and get out of the normal class environment,” Carrington said. “It’s really allowed me to explore Stanford in a different way and see it in a new light,” he added. Contact Riya Mehta at riyam ‘at’ stanford.edu.